Revolutionary microfiber threads attract and absorb dirt and microparticles. Use dry on Hardwood & Hard Surface Floors. 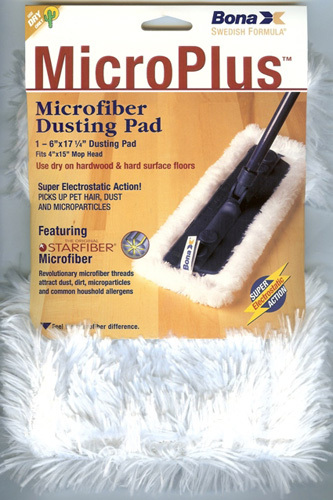 - Picks up pet hair, dust, microparticles and common household allergens. - More eco friendly than disposable systems.